CoolTouch is a unique new-generation line of water dispensers, characterized by a prominent, sophisticated and innovative design on the one hand as well as energy-efficient systems functioning quietly, and the materials selected for their environmental friendliness on the other hand. We are grateful to our customers who contributed their wishes and preferences to the design and development of new dispensers. CoolTouch coolers can be rented in three body colors: gold, silver or black. 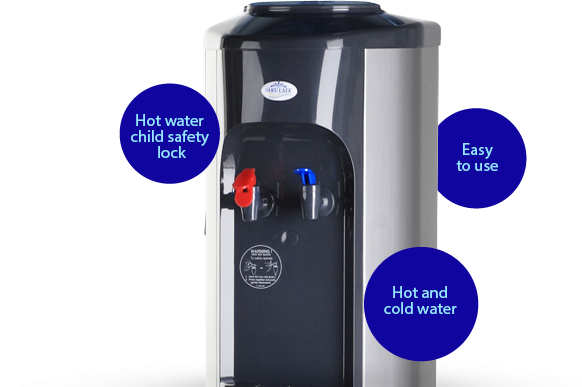 All CoolTouch water dispensers have European patents; the coolers are manufactured in conformity with the ISO 9001:2015 standard and are fully certified in Europe (bearing the CE label). Water dispensers are manufactured by a company within our group of enterprises (SIG) and are available only in Estonia and sold solely by Saku Läte. Energy efficient. The water cooler is activated only on movement. 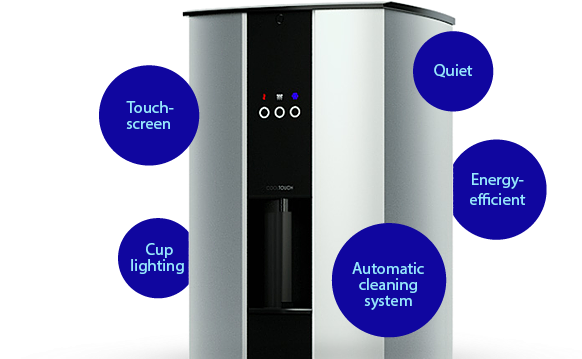 Extra Disain is a comfortable and stylish water dispenser of hot and cold water. It is also a perfect option for making tea. Extra Disain water dispensers are available for rent in three body colors: red, grey or white. There is an option of switching off the water heater, in which case lukewarm water comes from the hot water tap.